We are located in Louisiana. The screening process will be over the phone to ensure the kitten is going to a safe and responsible home that will love and care for the kitten as I have. I do not just sell my kittens via the emails. I answer all emails quickly or you can call, leave a message and I will call you back. I love talking about my kittens so call me if you have any questions. I sometimes have Adult retired cats for adoption at a reduced price. They will come neutered or spayed and vaccinated. 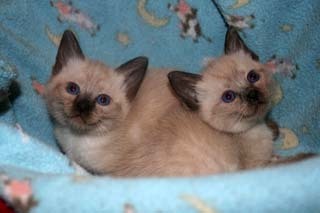 I have a strict adoption process to ensure these cats get the best home possible and be the perfect companion. 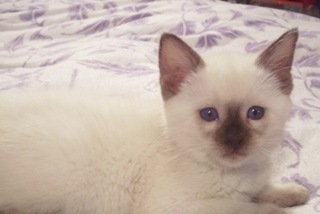 Siamese cats can live to be in their 20’s. I adopt my Queen between 5-6 years old. My sires are longer. My kittens come with a 72 hour health guarantee and I encourage you take the kitten to be examined by your vet. If the vet says the kitten is unhealthy I need proof of this and will replace the kitten. The genetic guarantee is for 1 year. If there is a issue I will replace the kitten. As a breeder I strive to have healthy and sound lines, I do not inbreed my cats and buy out crosses to ensure my bloodlines remain healthy. I do not over breed my cats. 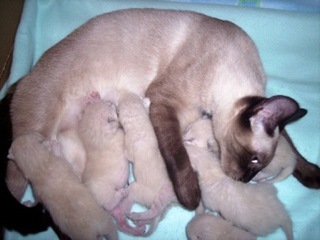 Some breeders breed there Queens as soon as the kittens are weaned. This is unhealthy and does not give the Queen time to heal her body and emotional state of her mind. She needs to be just a cat. Socializing - I handle my kittens as soon as they are born, I’m at every birth and sometimes have to remove the placenta and cut the cord. Sometimes the Queen won’t do that because it’s her first litter or after 3-4 kittens the Queen is exhausted and I step in. The kittens are picked up and examined every day and handled as they get older played with, snuggled, kissed, and brushed. 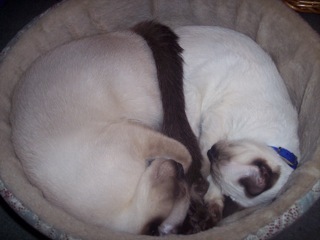 This is ensures they will be a loving and sweet kitty companion. If you have questions call and leave a message and I will call you back or email me.